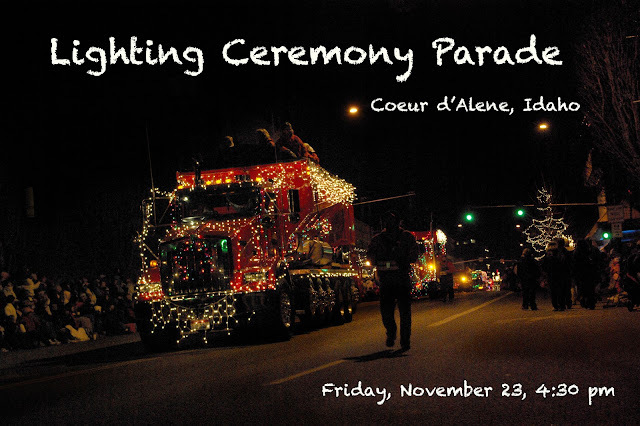 The holiday season is fast approaching and so is the annual holiday lighting ceremony downtown Coeur d'Alene. This must-see event includes a themed Traditions of Christmas parade, millions of shimmering lights, the world's tallest living Christmas tree and an unforgettable fireworks display over beautiful Lake Coeur d'Alene. According to cdadowntown.com, the parade will begin Friday, November 23rd at 4:30 pm at 8th & Sherman. Parking is always scarce so plan to arrive early!